Call Las Palmas Mexican Bar & Grill for Mexican catering in Victoria, TX and surrounding areas today! Planning a party of event? Look no further for a mouth-watering meal! Las Palmas Mexican Bar & Grill provides high-quality, authentic Mexican catering in Victoria, TX and surrounding areas for any event. Take the stress out of planning, Las Palmas will bring fresh food to your location and take care of the preparation and set up for you at no additional charge. Our well known fajitas will make an excellent choice for any family event, party, or business luncheon. Contact us today to learn more about our Mexican catering in Victoria, TX and surrounding areas. 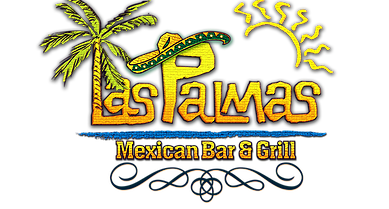 Las Palmas Mexican Bar & Grill Features Live Mariachi Bands Every Friday! Visit the Menu page to see what else we serve at our Mexican bar and grill. Looking to take some of our food home for your next party? We also offer catering. Las Palmas Mexican Bar & Grill has been a staple in the Victoria community for over 13 years. We use only fresh ingredients in our food and drinks, and we make all of our tortillas and sauces from scratch. We're a family-owned and -operated business that takes pride in our welcoming atmosphere. To learn more about our Mexican bar and grill, call 361-573-1717 now. Don't forget to ask about our daily dinner and lunch specials! Take a look at the award we won!